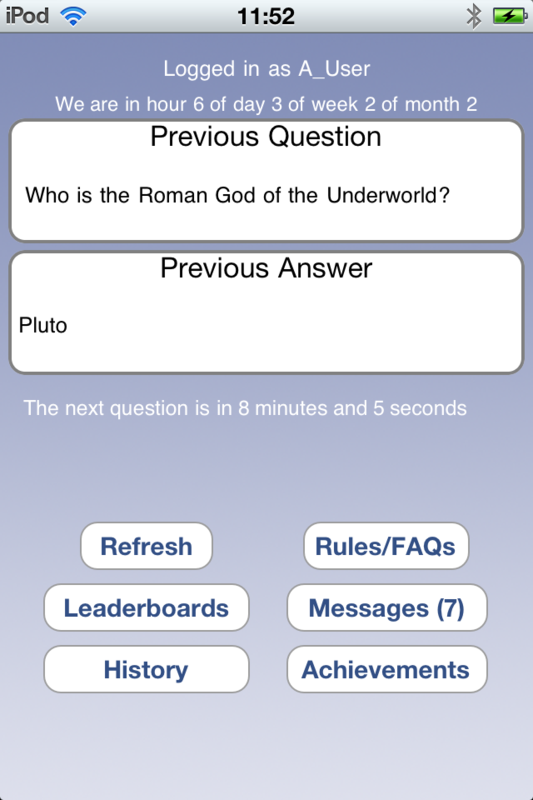 Every hour, everyone who plays our game is asked a general knowledge quiz question. The faster you answer, the more points you score. Compete against players all across the world to be the quickest to answer and see how you are scoring on hour daily, weekly and monthly leaderboards. Some of our questions are easy, some will require an internet search but all our questions are answerable by everyone. What other app can give you an hourly worldwide online quiz competition? It really is great fun.